Dit product is ook via AliExpress verkrijgbaar! 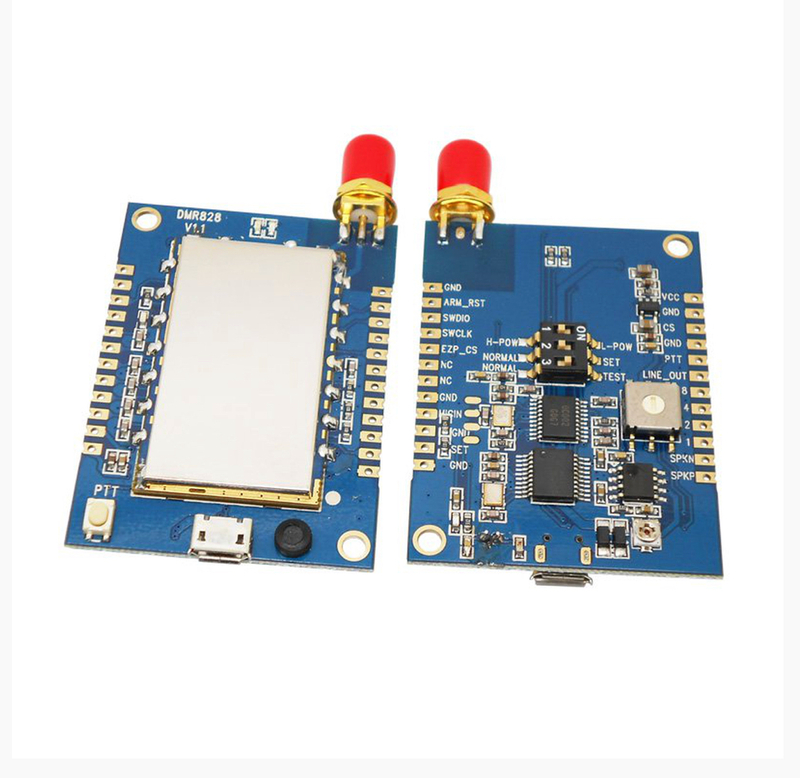 DMR828 is a 2W long distance all-in-one DMR walkie talkie module. Only need external power supply and speaker, it is easy to become a professional digital walkie talkie. Simplified interface and Ultra small size make this module widely used in various applications and conveniently embedded into various handheld device.